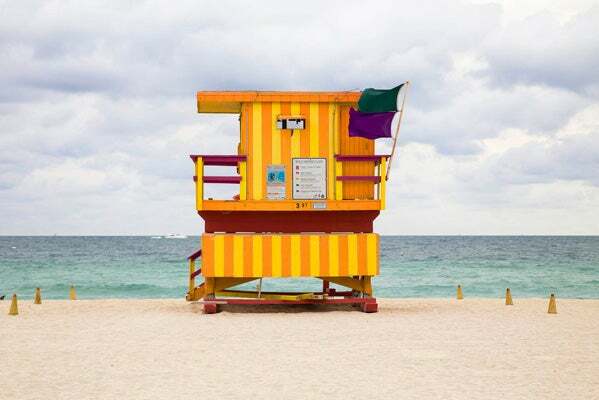 Miami’s signature lifeguard houses play an integral role in the South Beach scenery (apart from the sand and sun), and are often caught in the backgrounds of various editorials, advertisements, and crazy psychedelic journeys shot on local turf. But how about stripping the photos of the models and tropical prints and enjoying the views for what they are — iconic beach moments matched with Miami's quirk. Léo Caillard, a French photographer known for his exploration of the digital world when capturing the rich tradition of "classic" art through his photographic series Art Games, gave Miami Beach a new light through his Miami Houses project. By presenting the lifeguard houses from a minimalist viewpoint, Caillard channels the work of Bernd and Hilla Becher from the '70s and sets the houses in the same frame with each photograph, forcing the viewer to look more distinctly at each house and the differences that exist among them. 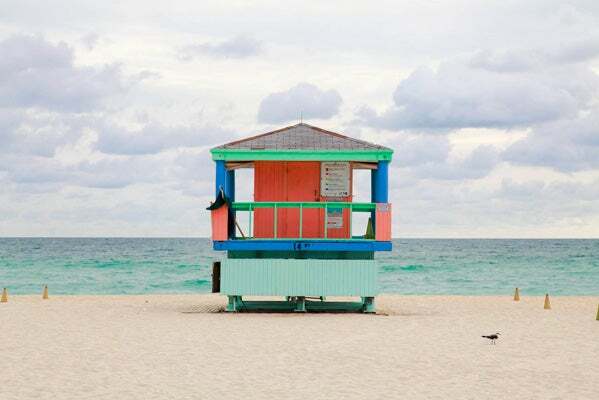 What’s most interesting is the calm feeling that comes from observing the photos; Miami isn’t often an oasis of serenity — the juxtaposition of the beach and the colorful designs on each hut make these snaps ironic in the best possible way.